Dialogue implies listening, then generating a "tailored" response. With the "renaissance" of machine learning, deploying an automated system that "learns" from the learner's data and makes decisions with minimal human intervention, producing intelligent dialogue, becomes a tangible reality. Dialogue is a fundamental tool in knowledge transfer and the main vehicle for social interaction. But first and foremost, dialogue means to listen to the other (i.e. collect data) and, once the opportunity arises, to provide a thoughtful, intelligent response (i.e. process data and return an optimized solution to potential problems). Human Computer Interaction has been driven mainly by the human side with little “interaction” from the computer side. With the “renaissance” of machine learning, basic intelligent behavior through the computer interface becomes a possibility, although still remote. Intelligent dialogue will be the outcome of years of research that can lead to goal-based dialogue, as intelligent dialogue should lead to actions that achieve a certain goal. Machine learning (ML) is often confused with Artificial Intelligence (AI), as it makes a machine look like it behaves intelligently. However ML is more about statistics and prediction based on data processing, and it can start from simple forms of Linear Regression (i.e. predicting a real-valued output based on an input value). Data processing through classification is an essential intermediary task, and Logistic Regression (LR) can be used to classifying data into discrete results. In the LR process a cost function has to be defined, based on which multi-class classification can occur. Once the classification is completed, the system must be able to generalize well to new examples not seen so far. For this, a regularization function is introduced to prevent the system from over-fitting training data. A Neural Network is a model inspired from the human brain. Brain neurons are specialized cells responsible for receiving sensory input data from the world, for processing the data and for taking action (i.e. sending motor commands to the muscles). To achieve this, human brain neurons continuously transform and relay the electrical signals through a vast network called a Neural Network (NN). In a similar fashion, to build a NN an initial model is defined. Once a NN model is defined a backpropagation algorithm must be implemented to help learn certain parameters for the NN and the cost function must be refined. A set of training examples are fed through the system and the outcome is evaluated. Almost always the learning algorithm obtained must be improved, and this is a complex issue that may require modification in the NN and/or exposing the NN to more training examples. It is important to note that, exposing the NN to more training examples may not improve the learning. Sometimes reducing the features we are looking for (i.e. selecting a subset of features) or adding new features from additional training examples may improve the learning algorithm. Deep Learning techniques  can be applied to improve learning using NN. eMentoring is a way of providing a guided mentoring relationship using online software. Done in the past thought the email system, eMentoring relies more and more on the face-to-face interaction though tools like video chat services, such as FaceTime, Google Hangouts, Skype, video chat through Facebook, etc. The advice, resources, and knowledge a mentor shares with a mentee depend on the format and goals of the specific mentoring relationship. Mentoring is often the activity directed to support the youngsters, by providing advice, motivation, emotional support, and guidance. As technology is reshaping some of the traditional work fields, training and re-training becomes an acute requirement targeting the alignment of employment-related skills and competencies in the fast-changing labor market. Mentoring is now extended to the mature population in need of finding equilibrium in a fast changing word. Designing eMentoring systems to partially automate some of the re-training tasks offers significant potential for both human and capital development. The research should be focused on domain complexity  and Deep Reinforcement Learning  as the eMentoring system should guide the user thorough a set of tasks to achieve new skills and competencies. Returning back to intelligent dialogue, one can see it as an enabling discussion allowing the learner to advance his/her understanding of concepts and paradigms associated with a specific paradigm. Many prototypes have already been proposed . 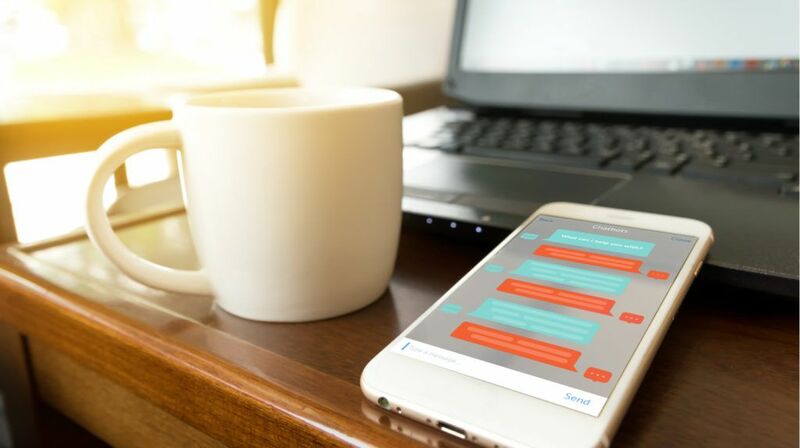 Within the framework of current technological advancements, it is possible that in the near future, intelligent eMentoring systems become a widespread reality. Papangelis A., Ultes S., Stylianou Y. (2019) Domain Complexity and Policy Learning in Task-Oriented Dialogue Systems. In: Eskenazi M., Devillers L., Mariani J. (eds) Advanced Social Interaction with Agents. Lecture Notes in Electrical Engineering, vol 510. Springer, Cham. F. G. Hamza-Lup and I. R. Goldbach (2019) “Survey on Intelligent Dialogue in e-Learning Systems,” International Conference on Mobile, Hybrid, and On-line Learning, 24–28 February, Athens, Greece.